Get ready, music fans, because you’re about to lose your minds over what Sting just did for a woman from Berkshire, England. The former Police frontman just went above and beyond by giving one lifelong fan the chance of a lifetime: a 20-minute head start into the woods before beginning his relentless hunt. Whaaaaat, are you kidding us!? Coolest. Rock Star. Ever! Yup! 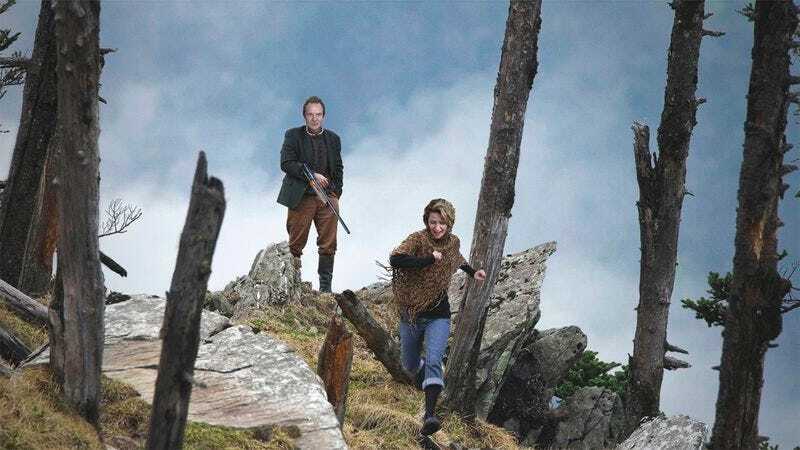 After inviting a 45-year-old fan named Maryanne Crowley to his personal estate, Sting proved just how PERFECT he is when he gave her a generous window of time to flee before he set off on his mad quest for her blood through the remote, uncharted forest of his privately owned estate. After his team flew her in his *private helicopter* and landed in the *middle of a clearing* on a foggy day, he sat down with her one-on-one and told her that he’d be hunting her down with nothing but a machete and pure human instinct, so she better run or else it would be too easy! We’ve got five words for you, Sting fans: Bloodthirsty. Sting. In. The. Forest! The man is perfect, and he KNOWS IT! Uhhh, Sting is…the BEST? This guy has seven platinum albums and 16 Grammys, but somehow, he still made time to smear pig’s blood on his face, wish Maryanne luck, and push her into the forest with the back of his knife while counting down from 20 through a megaphone? Seriously!? HOW? Okay, now he’s just BRAGGING. Whoa, whoa, whoa, Maryanne! Leave some Sting for us, won’t you? Bottom line? When it comes to loving your fans, no one does it better than Sting. Even if Maryanne manages to kill the megastar in the forest and come out alive, nothing will top the humble generosity he shows for his supporters. Love you, Sting!